You’re ready to leave the corporate life and be your own boss. You want to have control over your own schedule and your future and decide that opening your own business is the route that will get you there. As you begin researching ideas you realize that you have two good choices–either joining a franchise or starting your own small business from scratch. Before you make a hasty decision, it’s important to take a really close look at the differences between franchising and opening your own business so you can make an educated choice that will help you achieve the success you want. Starting your own business entails a lot. First, you need to decide what kind of business you want to open and make sure you have the money to get your business off the ground. You’ll also have to spend time getting your marketing materials together, getting the word out about your business, and turning prospects into customers. In the beginning, you may likely have invested a lot of time, energy, and money into your business with not much to show for it since it may take a while to build your customer base. You must also consider that you’ll be doing a lot of the work by yourself, which can be exhausting on you and your family. It’s also important to know the statistics regarding failure rates. Entrepreneur reports that 25% of start-up businesses fail within the first year of operation, while half of the remaining new start-ups fail within five years of opening. About 30% of the businesses left reach the ten year mark. A peer network with your fellow franchisees who can offer support, ideas, and advice. The ultimate benefit of choosing franchising over opening your own business is that you’re never alone in the journey. 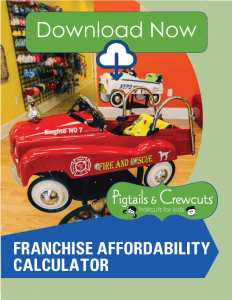 Pigtails & Crewcuts offers our franchisees thorough support from the moment the franchise agreement is signed. We’ve built a culture of support and are ready to make sure our franchisees are equipped with the resources they need to succeed. 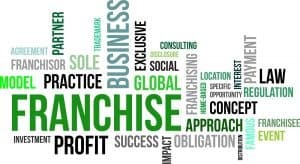 Are you ready to learn more about the benefits of owning a franchise? Contact us. We’d love to share more about the Pigtails & Crewcuts concept with you. Looking to combine family and a top franchise opportunity? Children’s services are growing! Today, many people are looking for a business that is family or child-friendly. However, they also want to be in a growing and stable industry. The top franchise opportunities in children’s services offer all of this and more. Children’s services are growing because parents are always looking for helpful services and new experiences for their children. 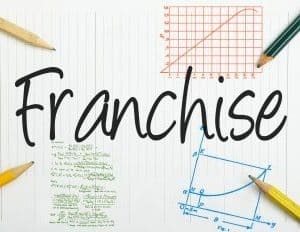 Investing in children’s franchise opportunities with a national presence and a strong brand is a terrific way to get started in your own business. The top businesses will have an experienced management team that understands the needs of children and the types of products and services parents want to invest in. Some of the top franchise opportunities focusing on children’s services include childcare, education, hair care, recreation, fitness, and entertainment. You do not necessarily need to have business experience to become a franchise owner in one of these areas, but you must love working with children. When researching franchise opportunities, look for reputable companies. This is critically important in a business that caters to children. Parents will demand that child-oriented businesses are legitimate, safe, and provide services that put their children at ease. When comparing franchise opportunities, consider business trends so that you are investing for the long term. Since parents are always looking to provide for their children’s needs, franchises in this space tend to be stable. Just be sure that any company is financially capable of supporting the franchisees. 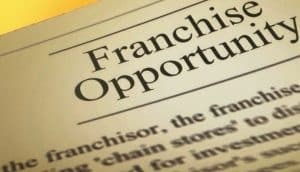 When you have a top franchise opportunity like this, there are other benefits. You can bring your kids to work with you where they can learn valuable business skills in a fun atmosphere. You can work with your spouse or other family members while providing useful services to your community. Imagine being able to help parents and children by providing a service that reduces family stress, brings families together and understands the parent-child relationship. Franchise opportunities geared towards children allow you to bring family and work together. If you want to have a business of your own that is family-friendly, look for franchise business opportunities that offer children’s services. Contact us today to learn more about fast-growing children’s services franchises.